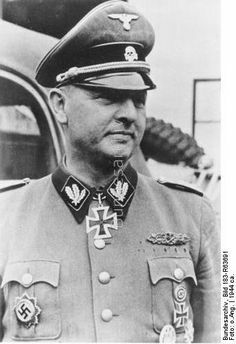 General der Infanterie Erich Abraham (1895-1971) -- RKE Kdr 76. 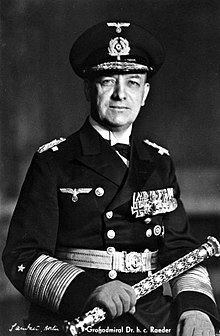 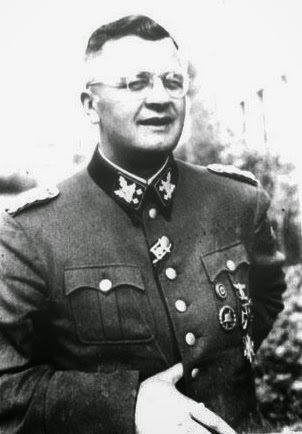 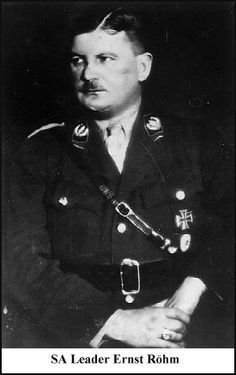 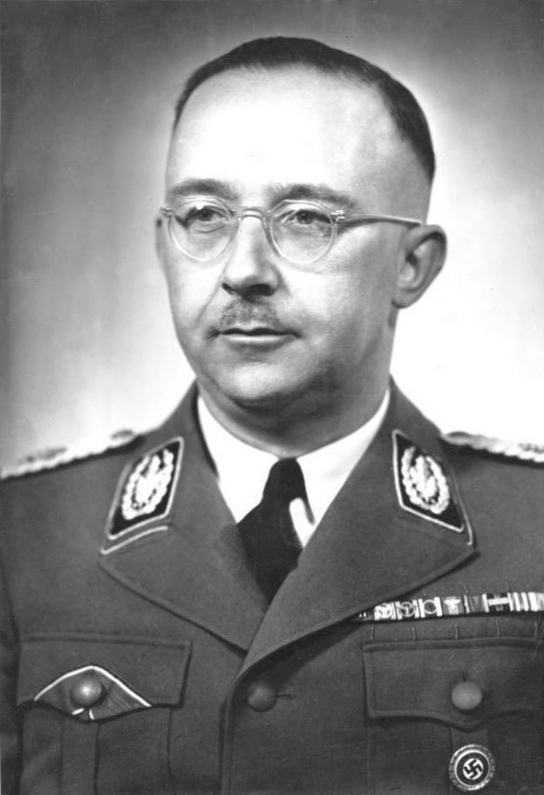 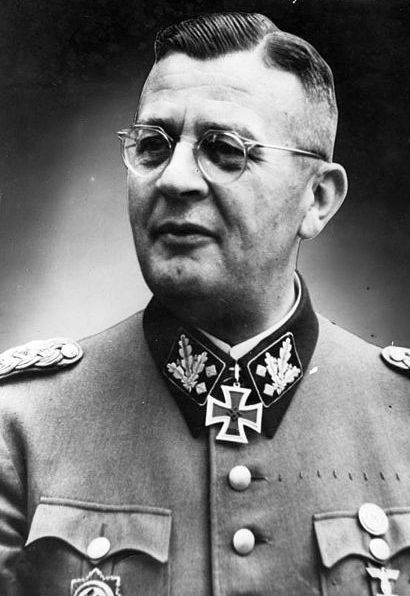 SS-Obergruppenführer Erich von dem Bach-Zelewski, the destroyer of Warsaw. 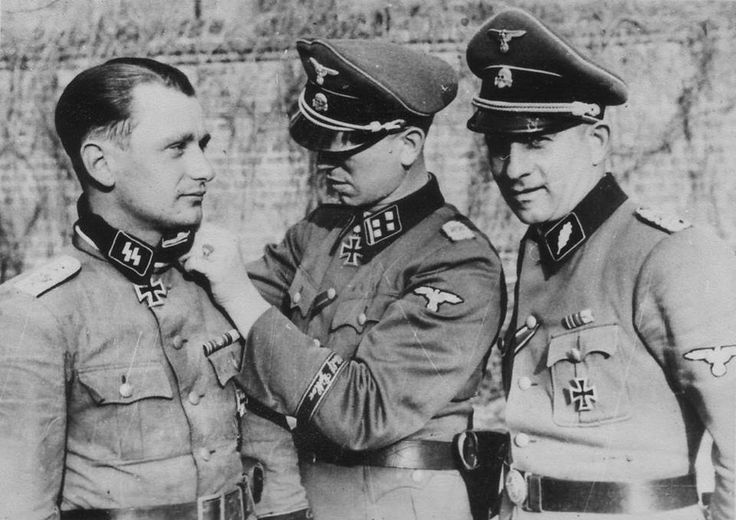 JUNE 30, 1934: The Night of the Long Knives, Hitler's purge of the Nazi Brownshirts (SA). 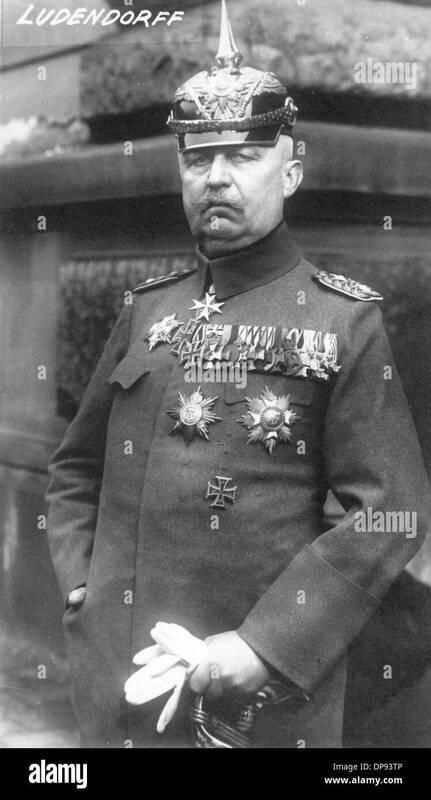 image: SA Leader Ernst Roehm, killed that night. 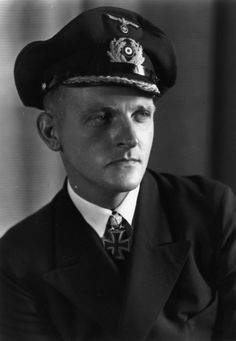 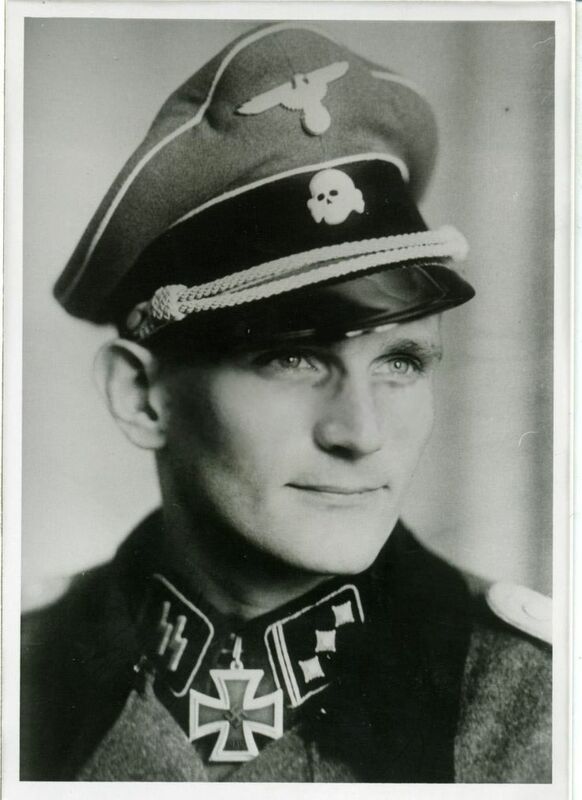 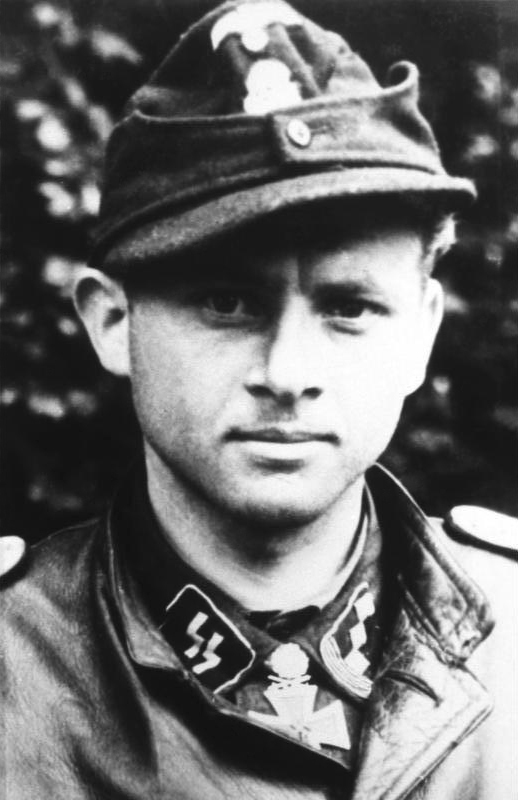 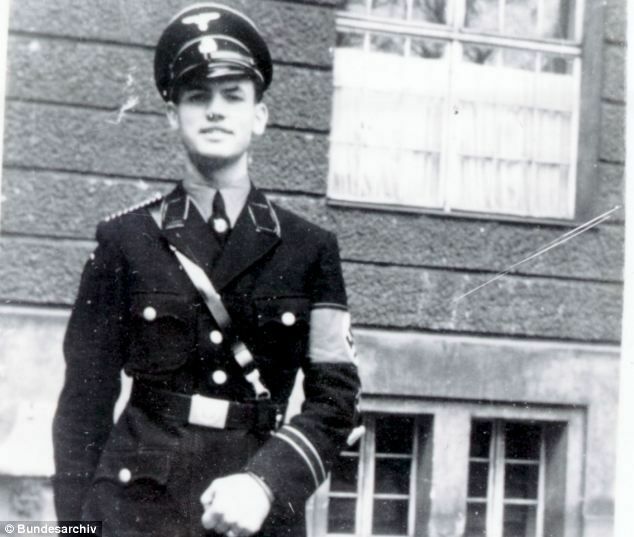 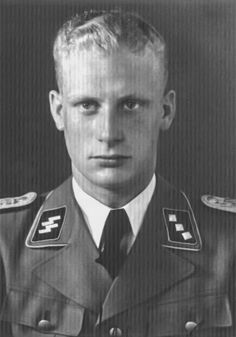 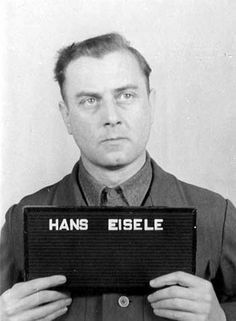 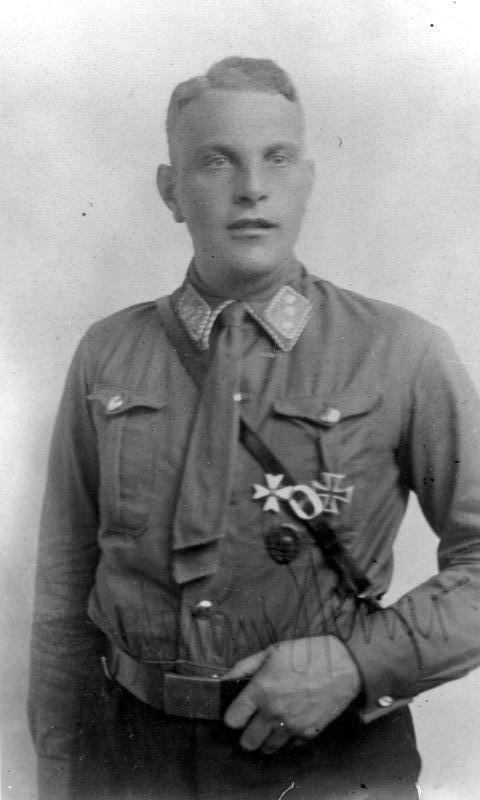 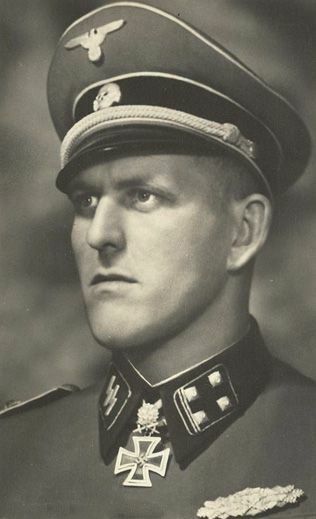 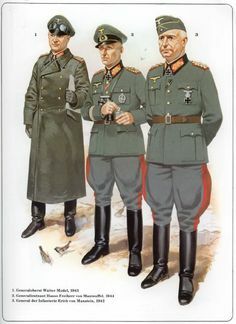 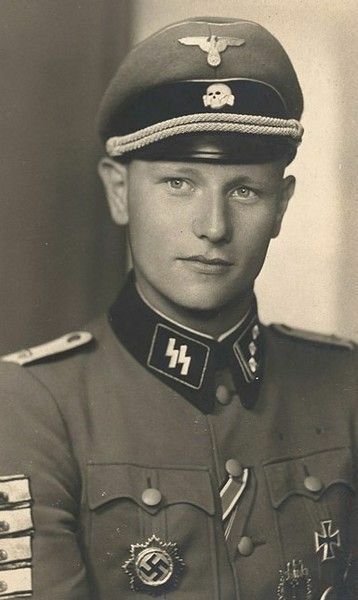 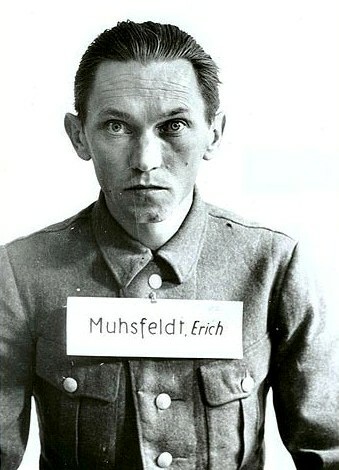 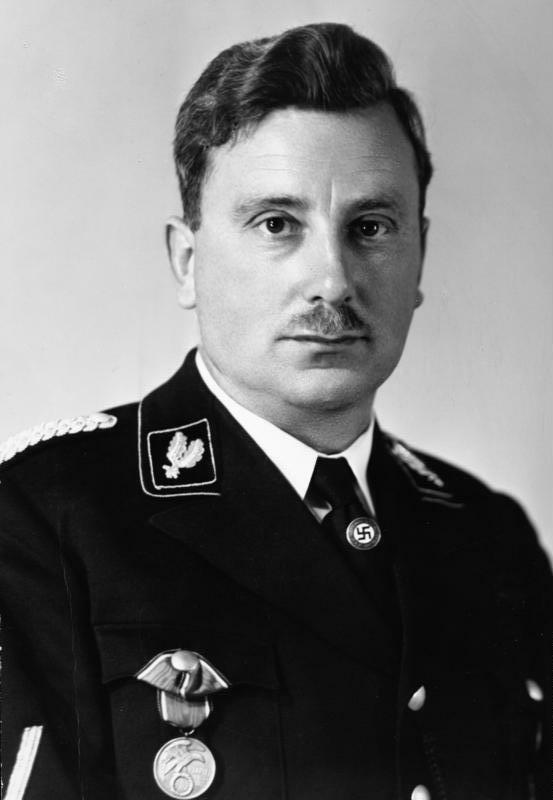 Portrait of SS-Untersturmführer Havvo Lübbe of the Leibstandarte Division, c. 1942. 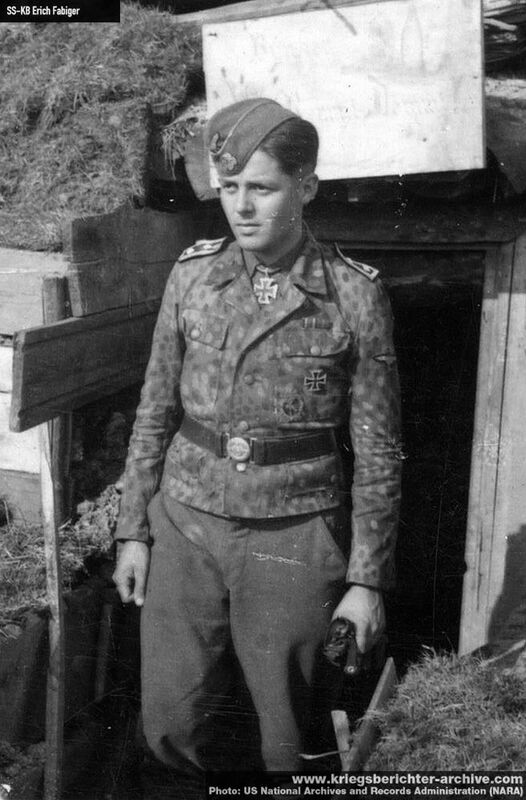 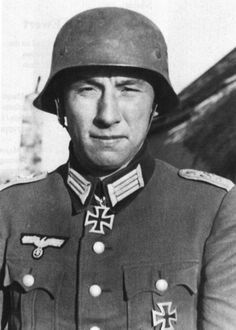 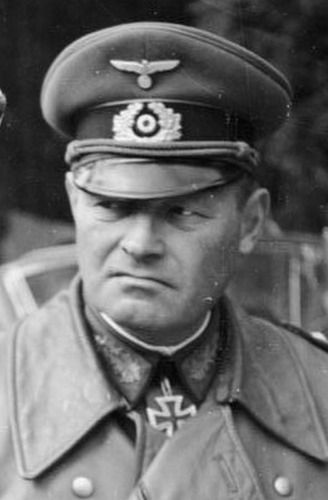 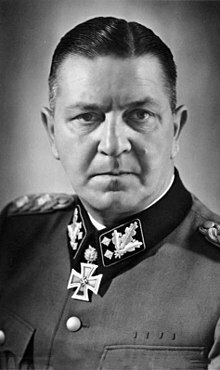 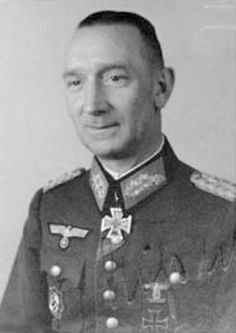 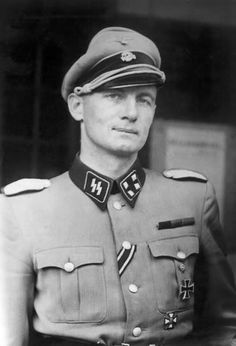 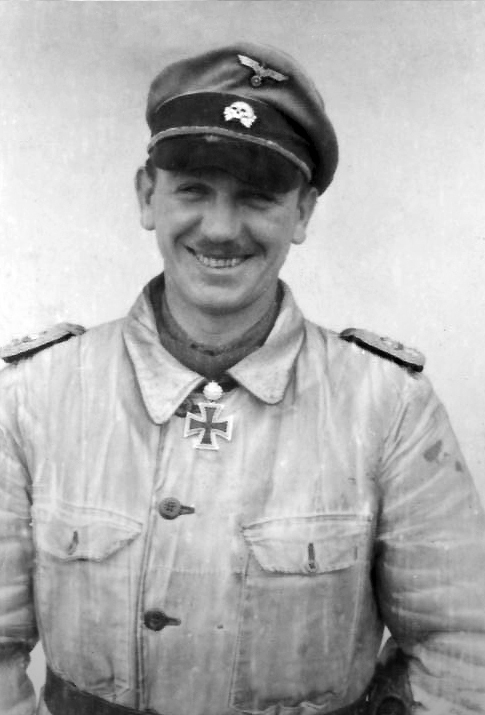 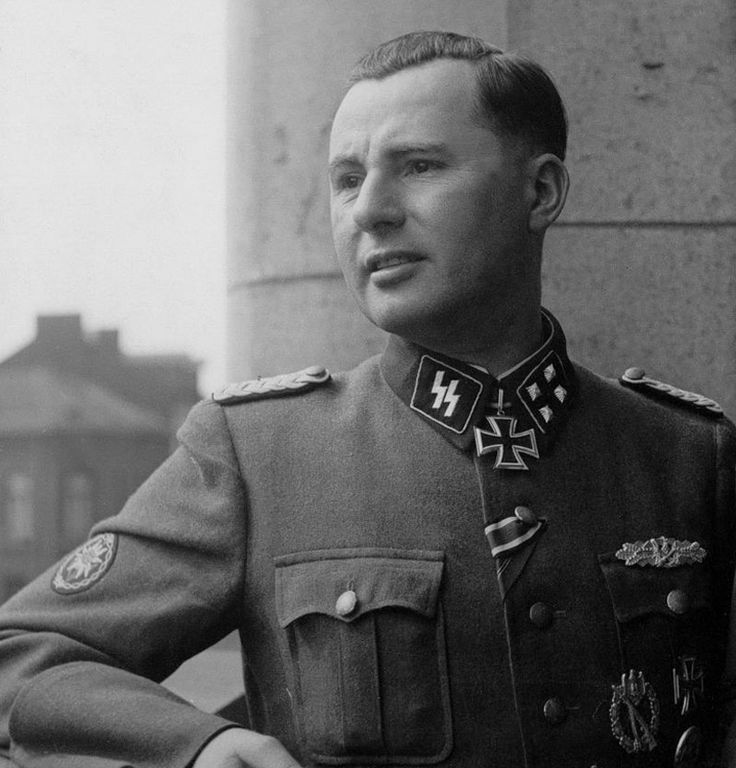 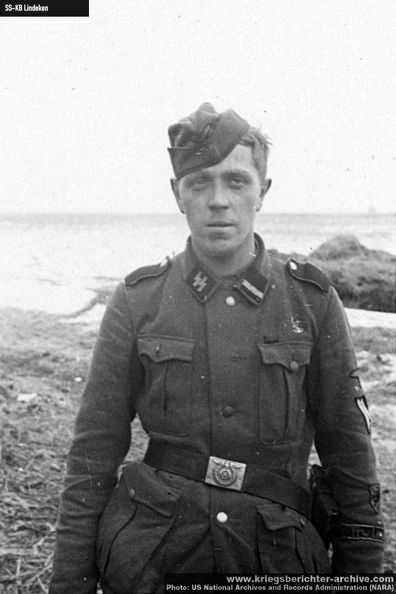 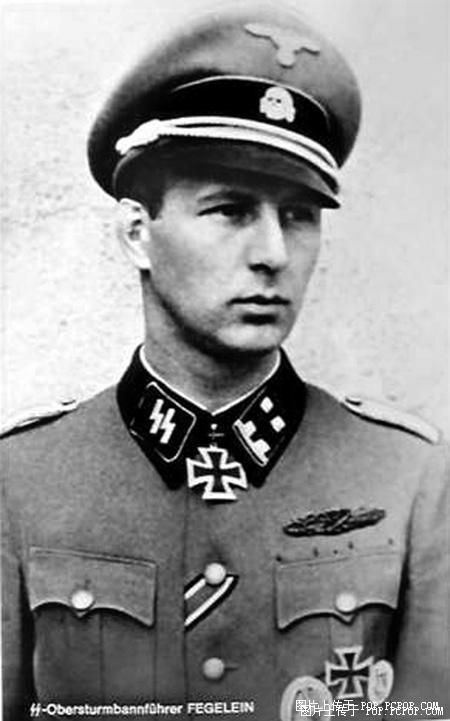 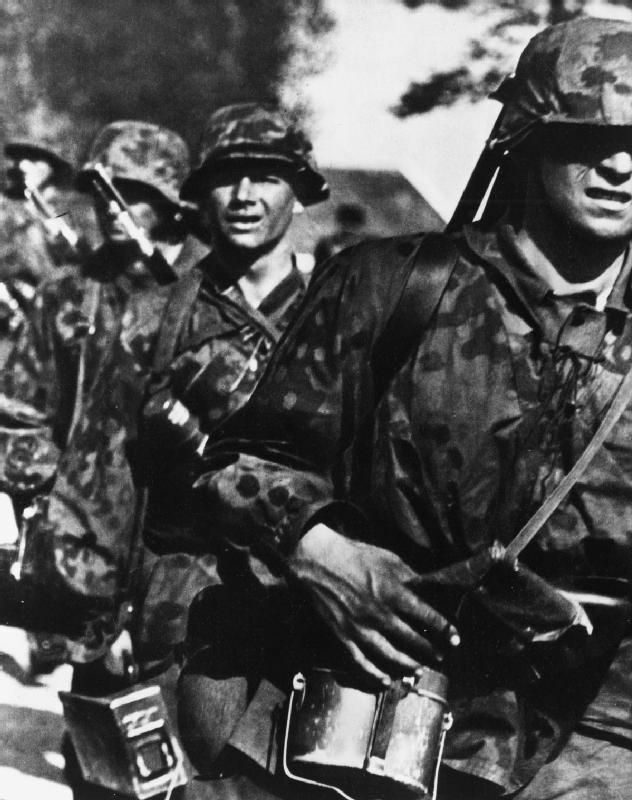 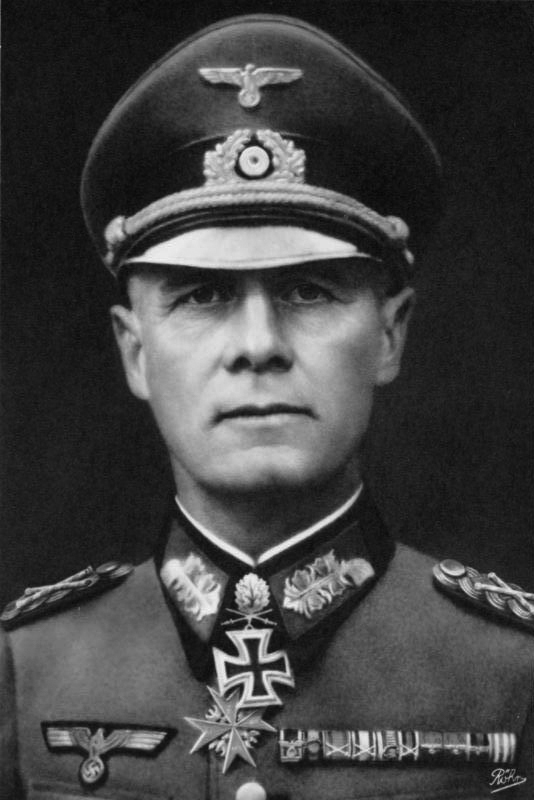 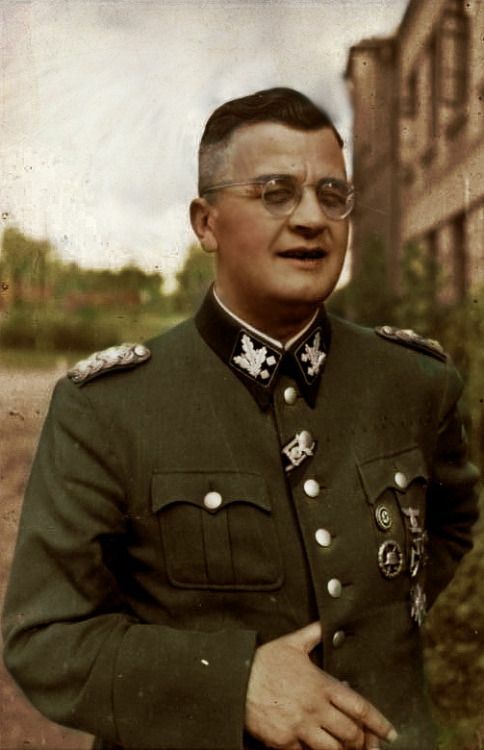 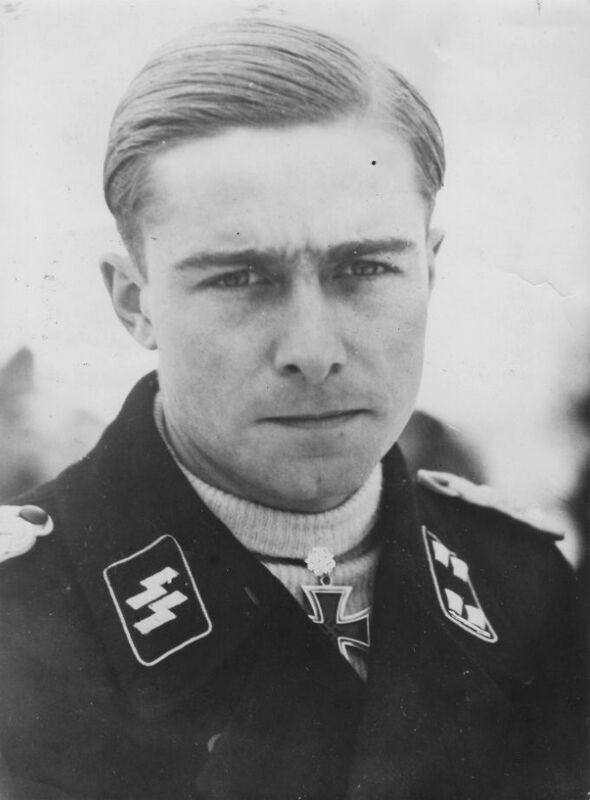 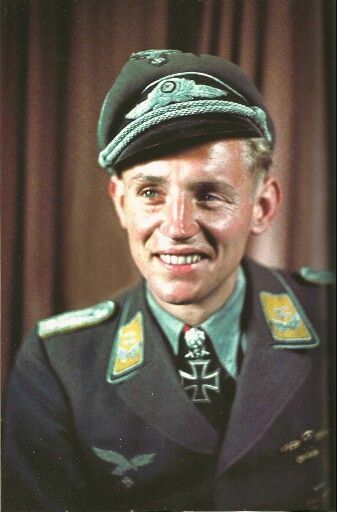 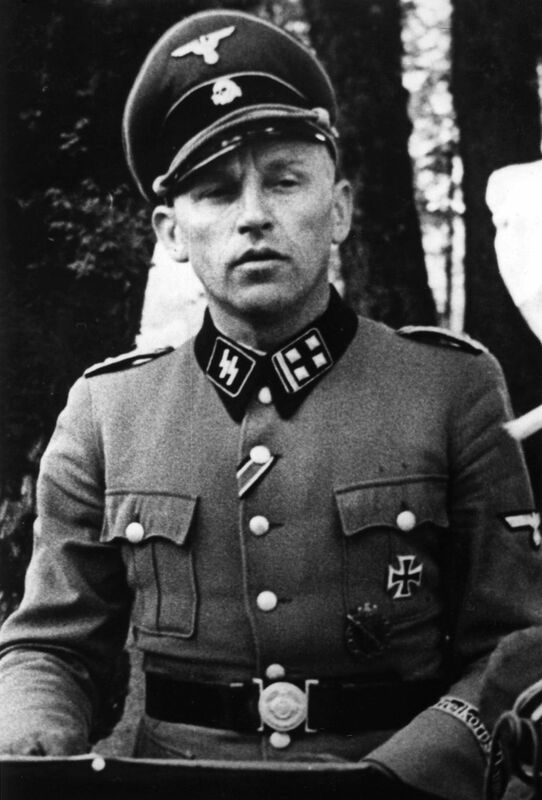 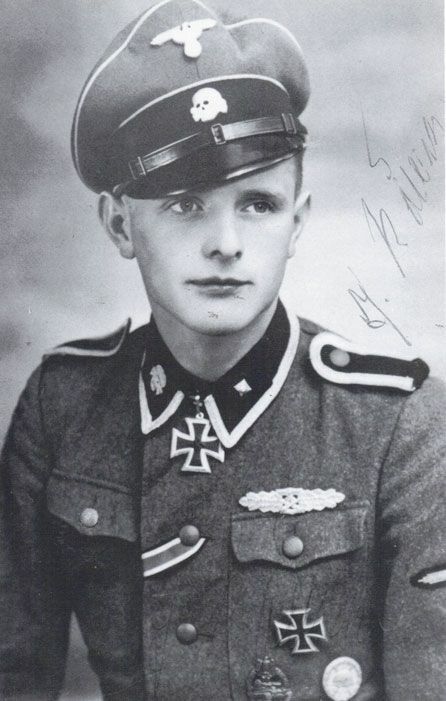 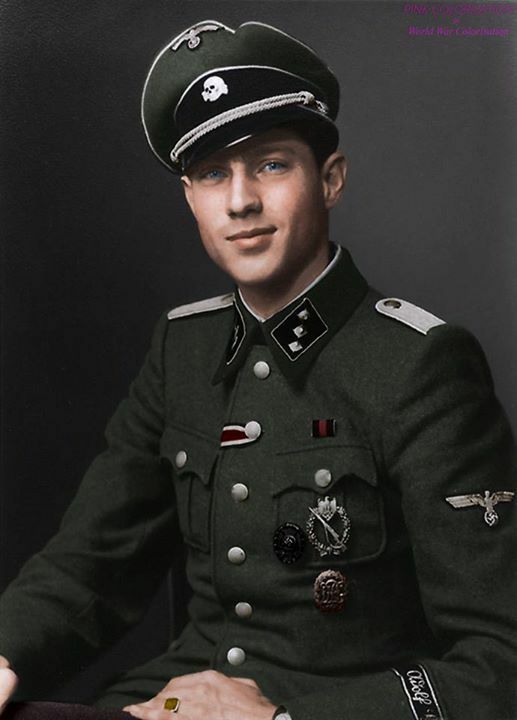 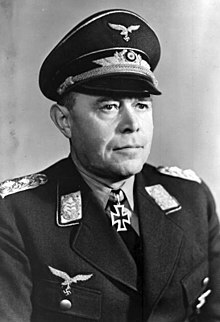 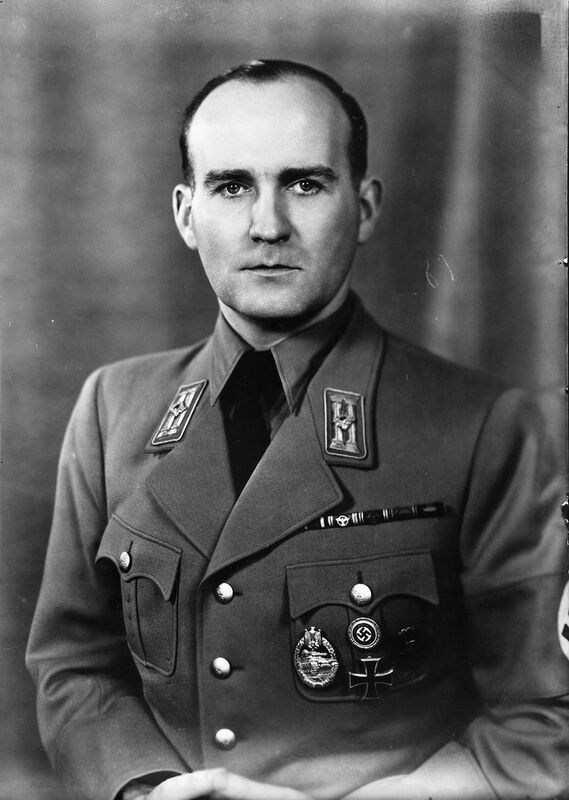 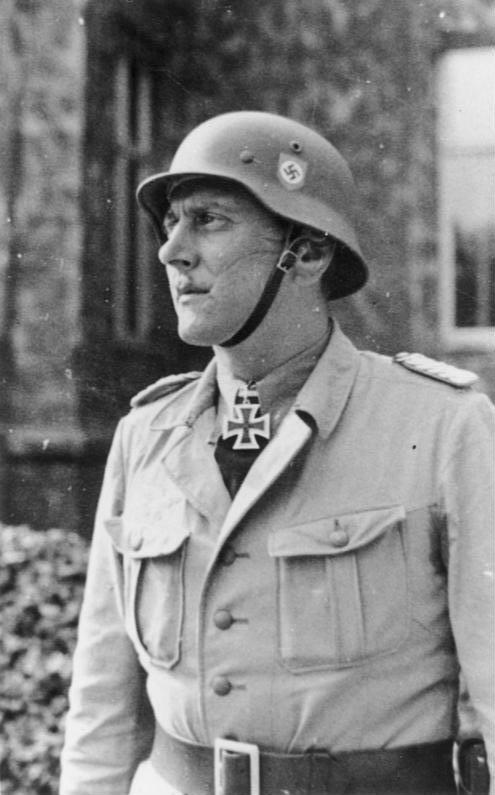 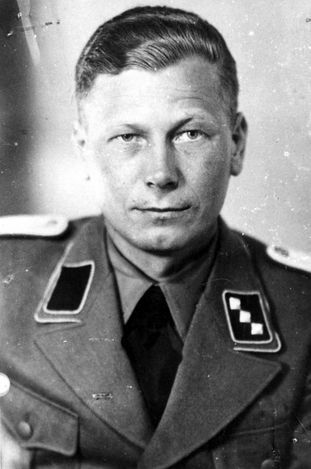 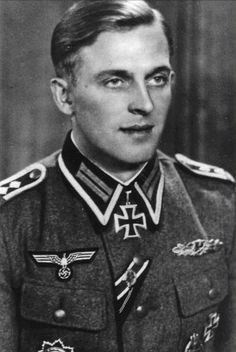 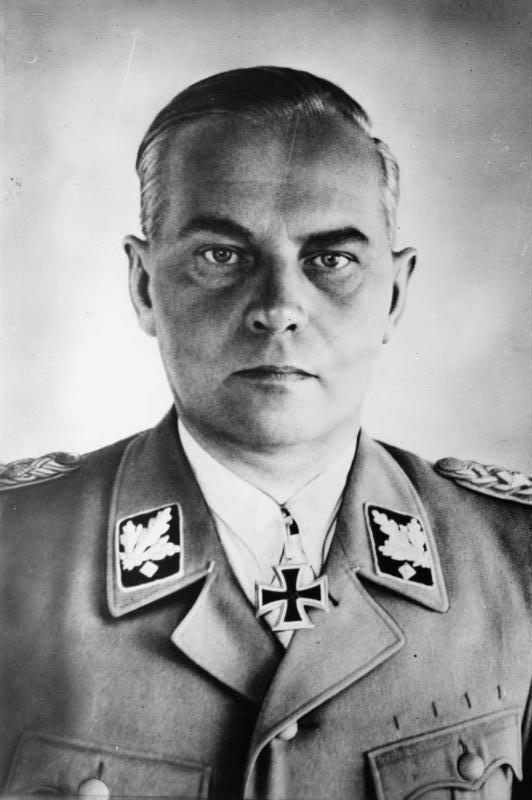 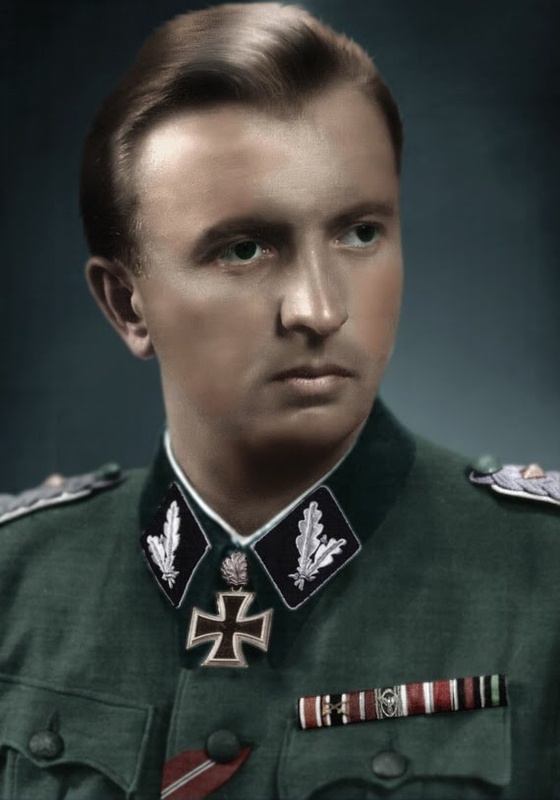 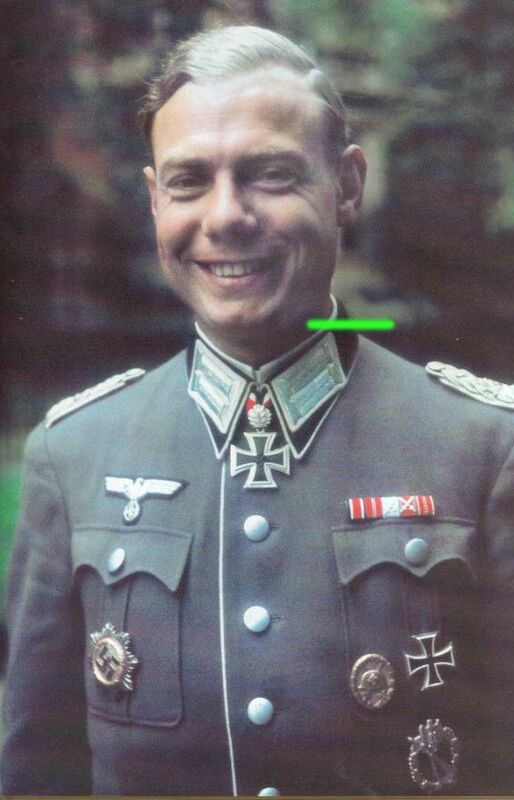 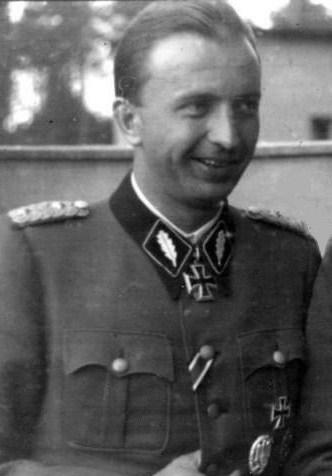 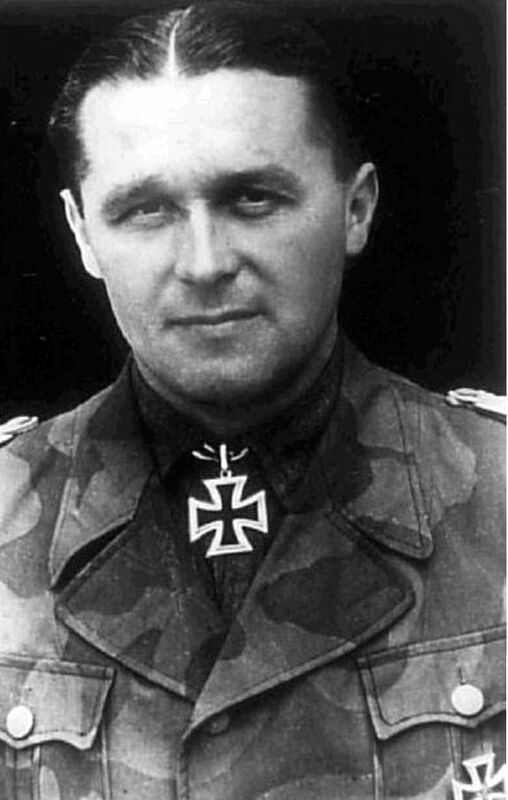 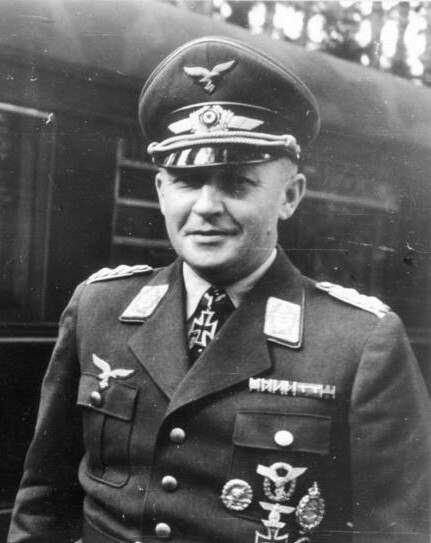 Waffen SS Captain Karl-Heinz Boska was a recipient of the Knight's Cross of the Iron Cross. 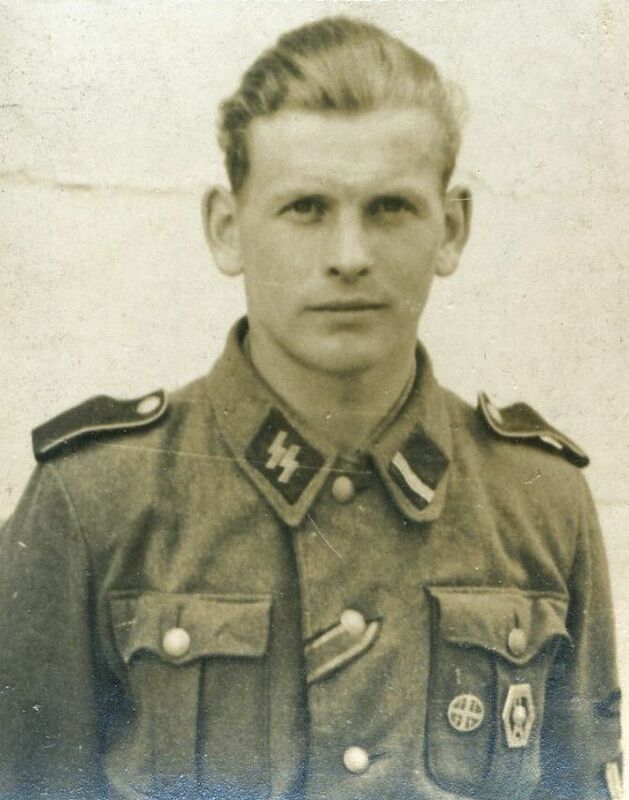 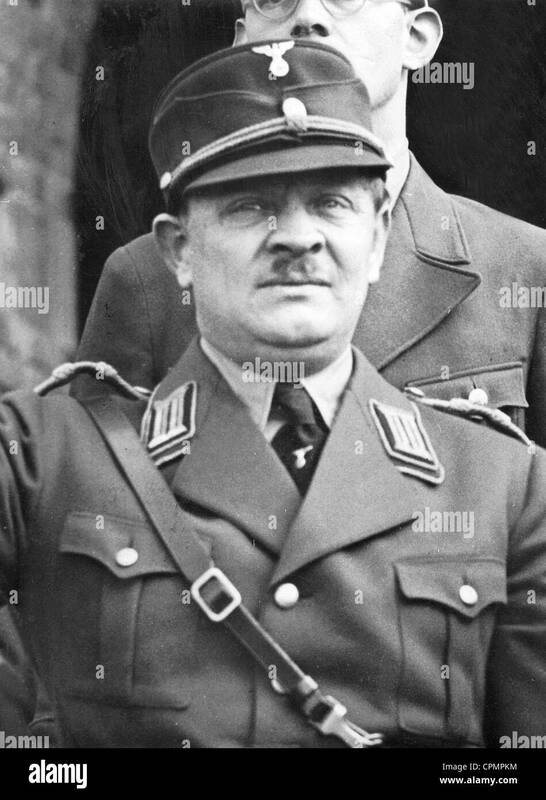 He served with SS Division Das Reich and SS Regiment Langemack. 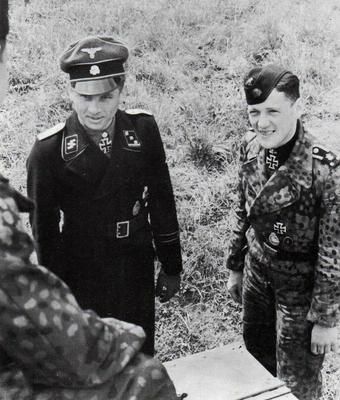 SS officers socialize in their retreat at Solahuette outside of Auschwitz. 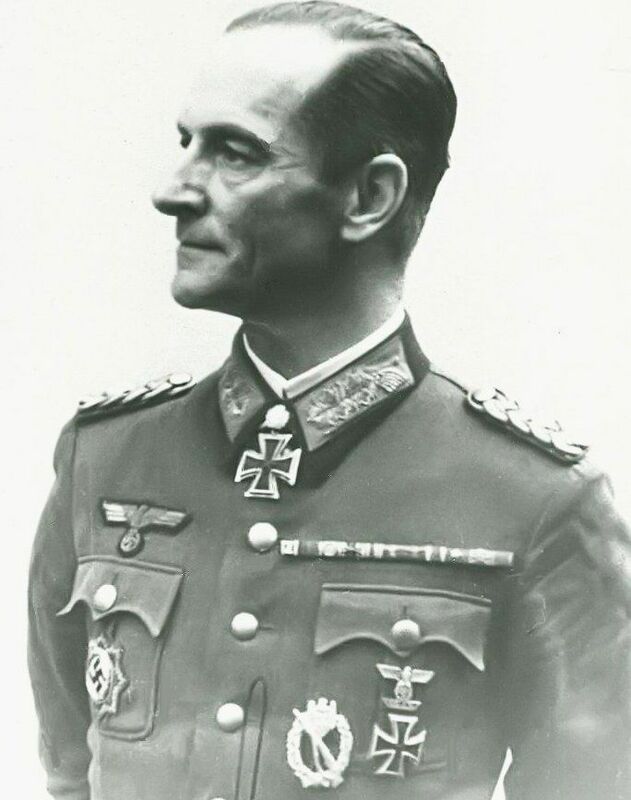 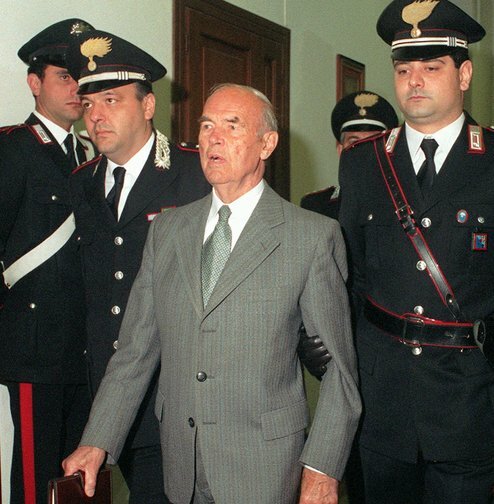 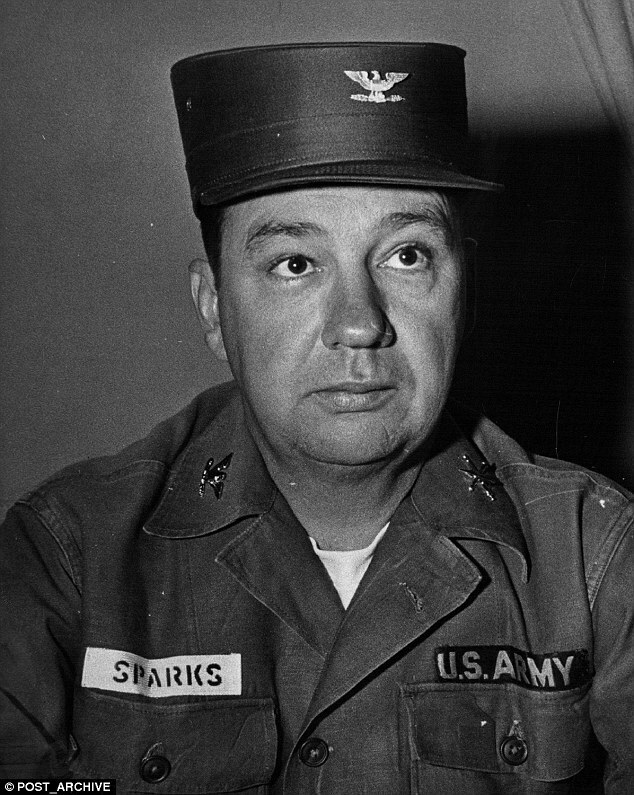 This is General Dietrich von Saucken. 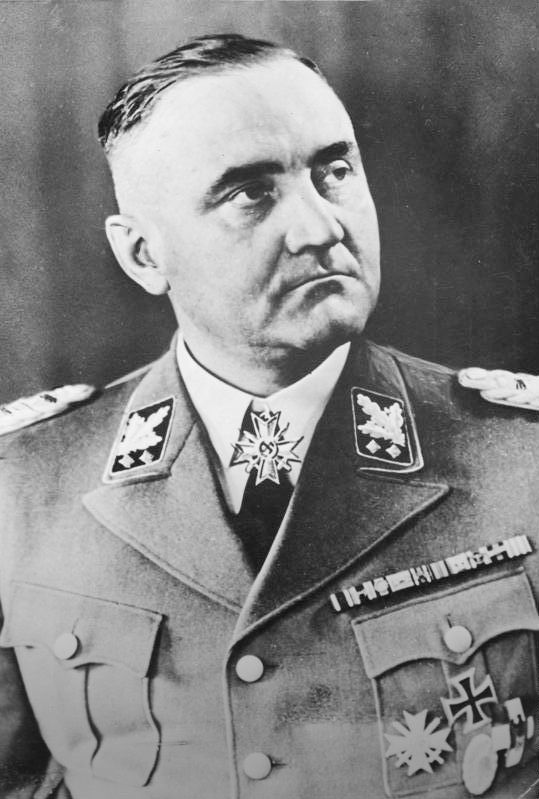 As you can see, he is literally the archetypal monocled patrician Prussian general. 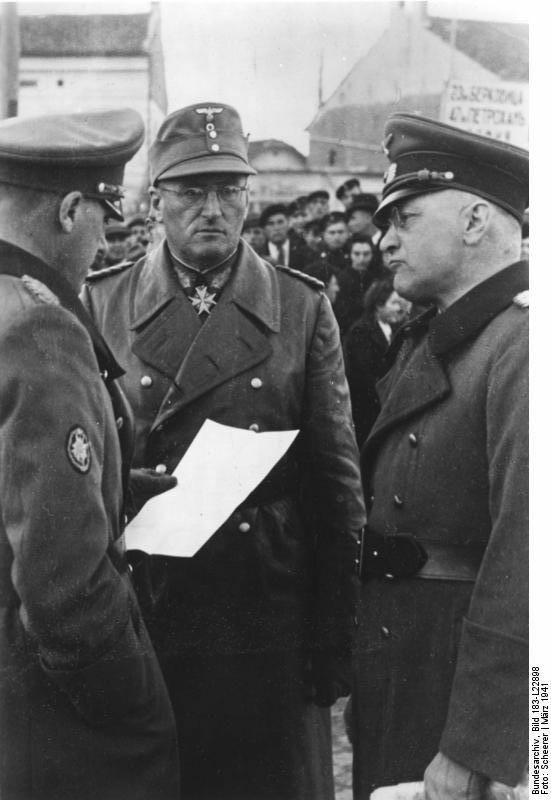 Three SS officers stand next to an automobile during the dedication ceremonies of the new SS hospital. 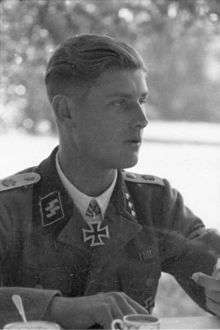 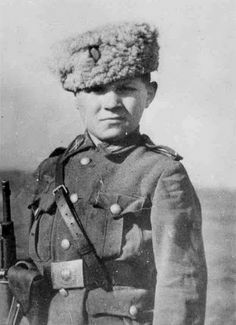 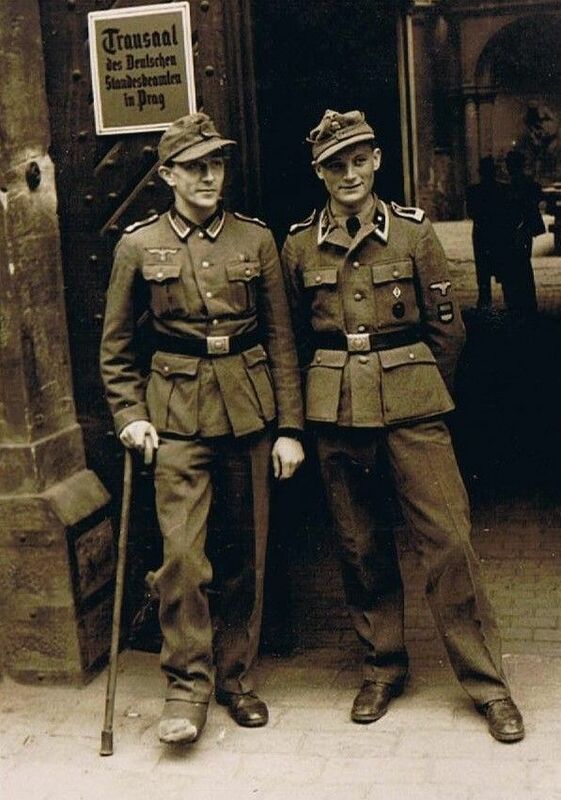 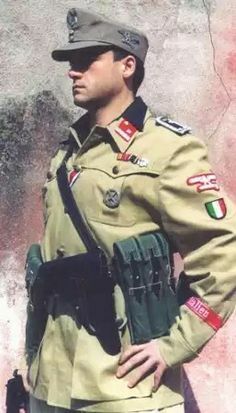 Oskar Wolkerstorfer was an Austrian soldier who served in the Waffen-SS during World War II. 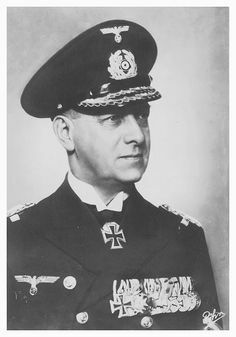 He held the rank of SS-Hauptsturmführer and was one of the .